If you miss a few mortgage payments, your mortgage servicer will probably send a letter or two reminding you to get caught up, as well as call you to try to collect the payments. Don’t ignore the phone calls and letters. This is a good opportunity to discuss loss mitigation options and attempt to work out an agreement such as a loan modification, short sale, forbearance, or payment plan, so you can avoid foreclosure. The most common foreclosure process in Texas is non-judicial foreclosure, which means the lender can foreclose without going to court so long as the deed of trust contains a power of sale clause. A “power of sale clause” is a paragraph in the deed of trust that authorizes the non-judicial foreclosure sale. If there is no power of sale clause then a judicial foreclosure process is used. If the mortgage is a home equity loan, then the judicial process will be used, which requires a judge's permission to foreclose. Texas law requires that the lender/servicer must send the borrower a notice of default and intent to accelerate by certified mail that provides at least 20 days to cure the default before notice of sale can be given. (The 30-day breach letter sent pursuant to the terms of the deed of trust can satisfy this requirement.) The notice is sent to the borrower’s last known address and must include the amount due and the date it must be paid. The notice of sale must include the date, time, and location of the sale, as well as a disclosure geared toward military service members that they should notify the sender of the notice about their military status. Foreclosure sales are held the first Tuesday of each month between 10:00 a.m. and 4:00 p.m. They are typically at the county courthouse, but may be in another location as designated on the notice of sale. The sale must begin no later than three hours after the time scheduled on the notice of sale. At the auction, the property will be sold to high bidder, which may be a third party or the foreclosing lender as they put in the first bid at the amount they are owed. 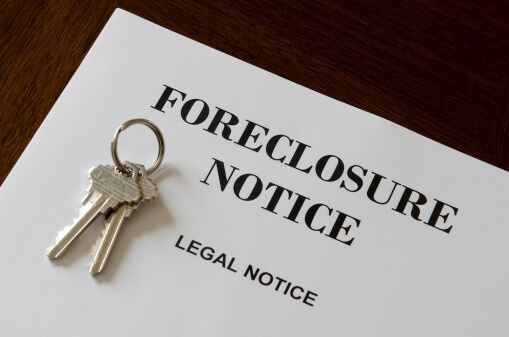 For information about what happens next, read What Happens After a Foreclosure Sale. If you are a homeowner facing foreclosure, you need to take action fast. The quicker you act, the more options you may have. Whether your goal is to apply for a loan modification, sell your home through a short sale, or just gain some additional time, you need a foreclosure defense attorney to assist you in stopping the foreclosure and negotiating a resolution. The banks have attorneys on their side, so should you.